It's been on our list for years, and Santa has finally delivered. 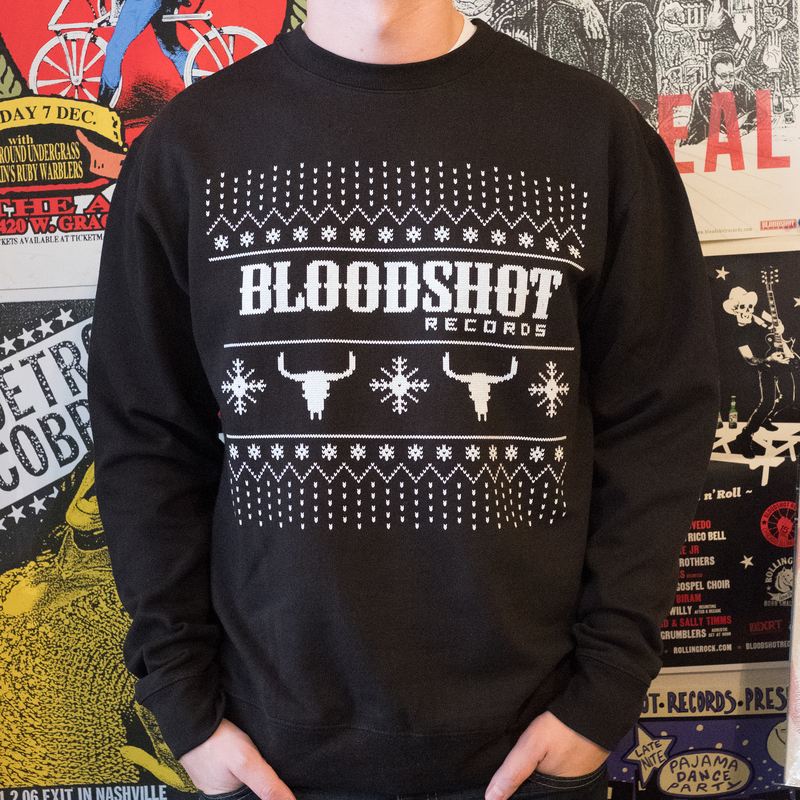 The limited edition Bloodshot Holiday Sweater is ideal for displaying your discerning taste at family gatherings and office holiday parties. It's also fine apparel for drinking a brandy while watching Clark Griswold fix the newel post. And damn if they aren't the perfect holiday gift for the indie-minded music fans in your life. These run a little big, but they shrink a bit in the dryer. BUNDLE IT WITH OUR XMAS ALBUM!